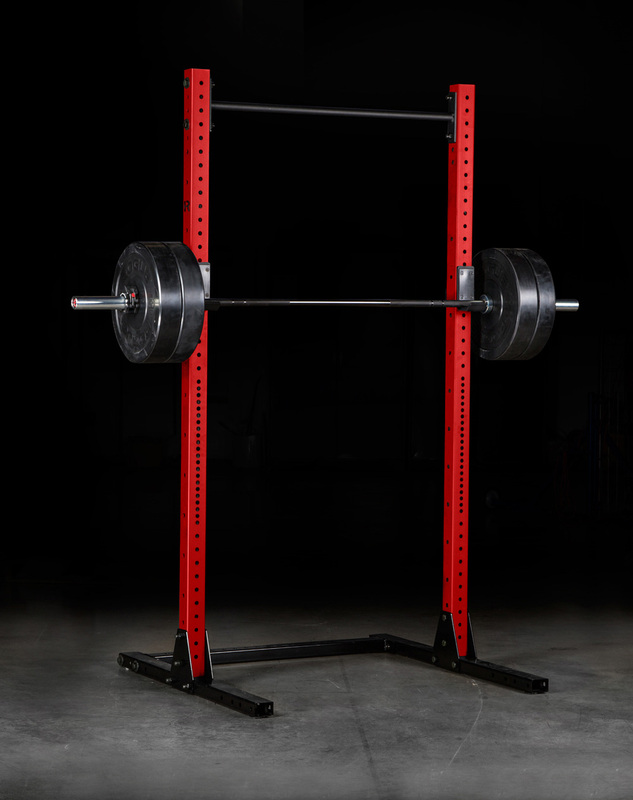 Now available in a wide spectrum of custom colors, the SML-2C Monster Lite Squat Stand delivers much of the strength and versatility of a power rack in an efficient, compact frame. 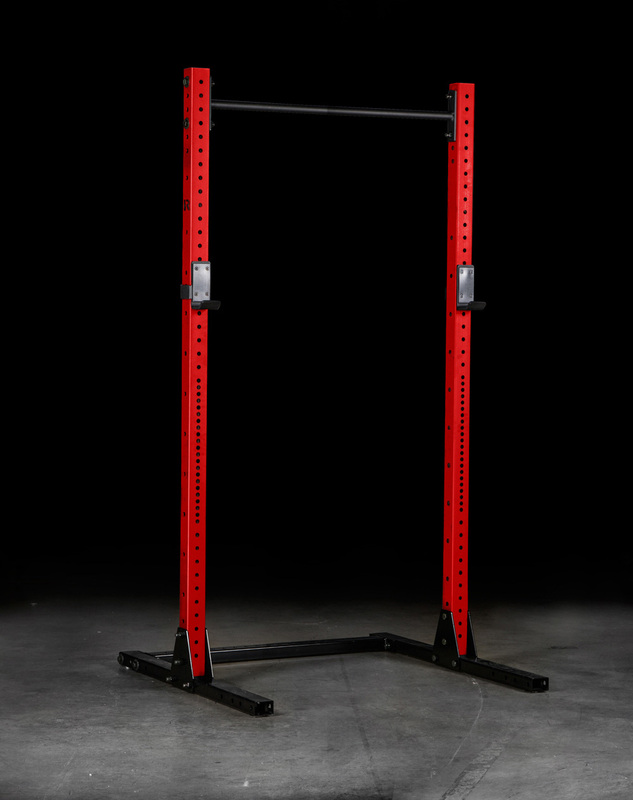 Featuring 3x3” 11-gauge steel uprights, an adjustable fat/skinny pull-up bar, and 5/8” holes in the Westside spacing pattern, it’s an affordable hybrid of Rogue’s S-2 and Monster SM-2 squat stands. 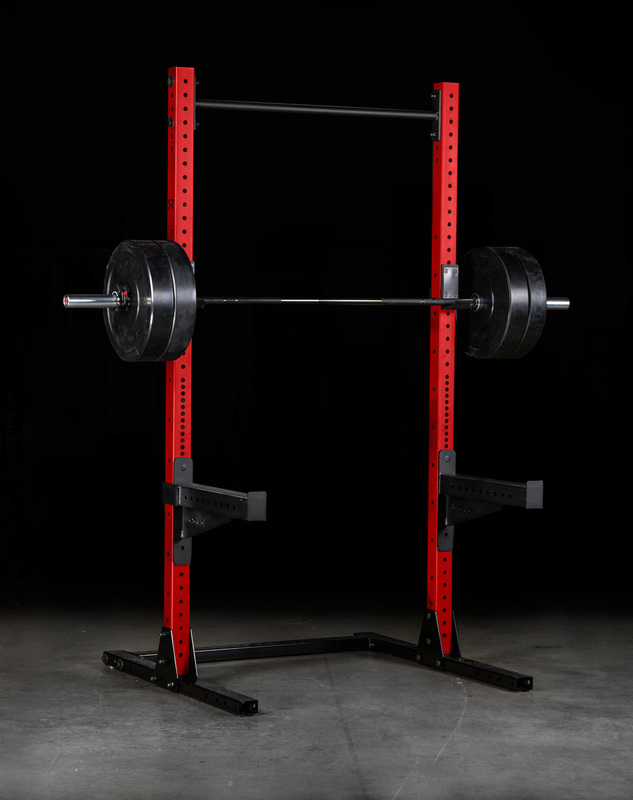 The American-made SML-2C is equally equipped for squats, bench, pull-ups, clean pulls, floor press, and more, with a bolt-together, triangle-plate base designed for maximum stability. For these exclusive colorized racks, we’ve also introduced a new MG Satin Black finish on the base, along with black zinc hardware throughout. 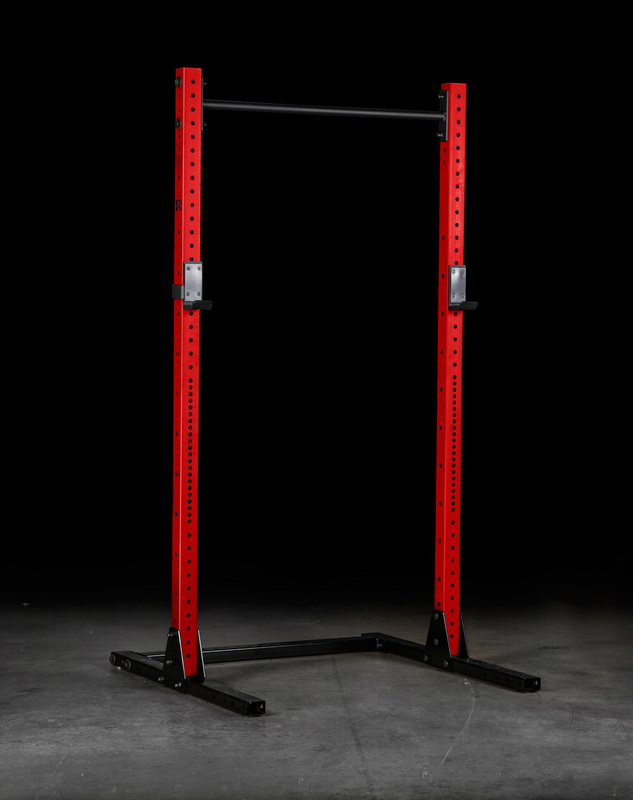 Max Pull-up Bar Height for Fat/Skinny Bar: 80.5"
Max Pull-up Bar Height for Single Skinny Bar: 88"
Check out the complete line of Squat Stands from Rogue here. 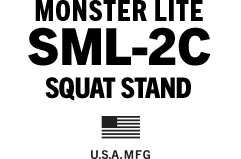 Rogue SML-2C Squat Stand is rated 4.9 out of 5 by 90. Rated 5 out of 5 by Vano from Tough as nails I bought this a litte Over a month ago and I’m so glad I did. Love it more every time I use it! Rated 5 out of 5 by mattg88 from This thing is a tank! First off, the desert tan and black looks fantastic. I firmly believe this will be the the only thing standing if WWIII happens. Seriously. Very easy to assemble. Only minor concern was that the bag the hardware came in must have broken open during either the packing or shipping process, as the nuts, bolts, and washers were loose in the box. But, every piece was accounted for! 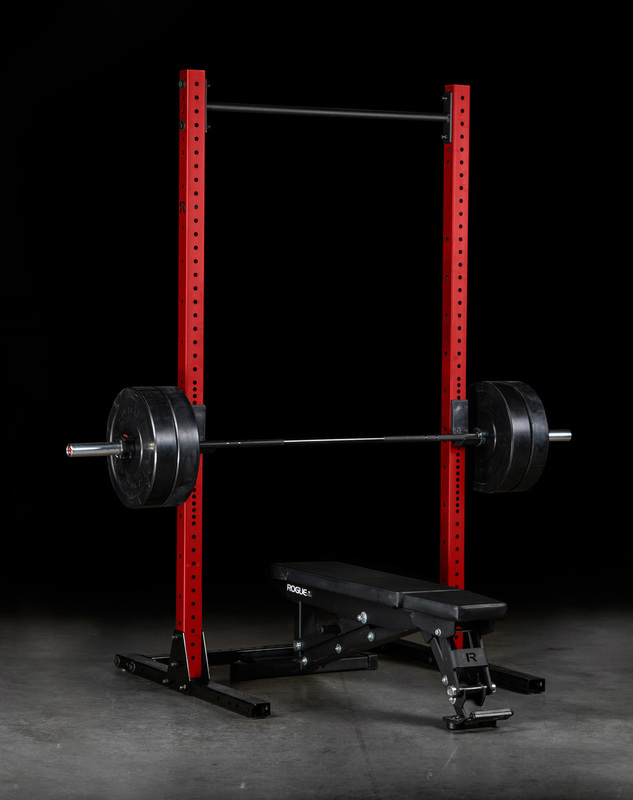 Rated 5 out of 5 by Calvin2 from Simplicity, Versatility, and Quality When I was looking to build a home gym, I first looked at cages, but realized their tremendous size/bulk. The SML-2C with the spotter arms can do everything a cage can do, only smaller. The open design makes for an easier and safer workout, you just lift the bar onto the j-cups, no need to thread it through the front supports of the cage. With an added T-bar row attachment I can pretty much do all of the required lifts and get a great workout. The only thing, it is slightly taller than a cage, but I didn't have a height restriction. The SML-2C is super easy to assemble and adjust. There are many spacing holes so you can get a custom fit for the J-cups and spotter arms. The build quality is outstanding, the frame is 3x3 steel with a durable finish. I also liked the fact that you can get it in a color, not just black, I purchased it in Rouge Red. Glad I bought it. Rated 5 out of 5 by jj41 from Custom Cut Bought the dark blue stand with custom cut. Very well made. It does take a few weeks for a custom cut and I received it today and assembled it in about 30 mins. Without any weight holding the stand down I was able to do pull ups (I don’t kip), toes to bar and the rack does not shake unless I’m just not feeling any movement or it just doesn’t bother me. Overall a very sturdy product and a great addition to a home gym. Now to get a barbell and bumpers to complete my basement gym. Rated 4 out of 5 by Dully from Custom cut Overall I am happy with the product. 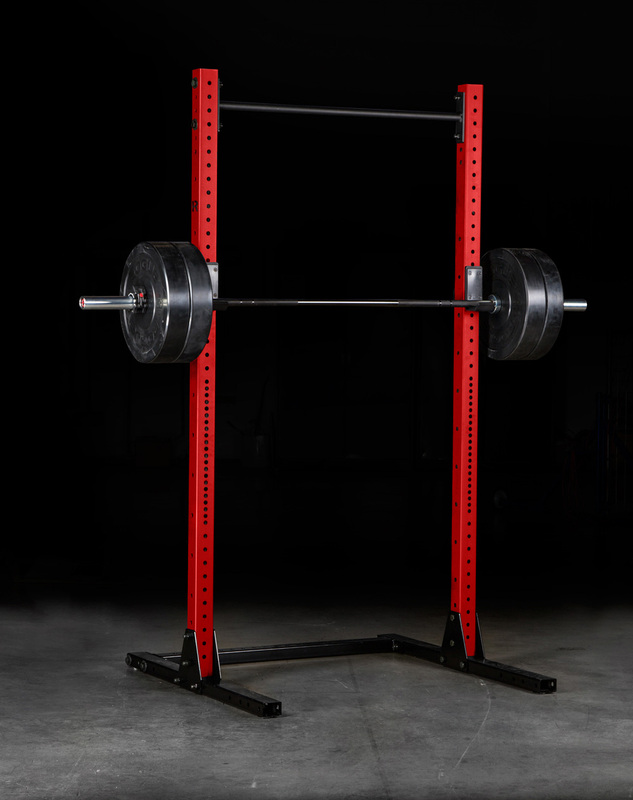 This is my second squat rack and first in the 3’ x 3’. As always great quality. A little cut more feedback with the custom cut would have been nice as the pull-up bar sticks out slightly above the frame. Maybe a half inch but again that was only the custom cut. It was cut to the height I desired but wished they had called it they identified an issue but I can’t complain much about that. Still the best solution for a low ceiling in my opinion. Satisfied customer here. Rated 5 out of 5 by kmm0418 from SOLID PURCHASE Chose this Squat Stand over the Rack to save a few bucks. Delivery was FAST and efficient which was great. Everything arrived in order. I set it up by myself, however I wouldn't recommend that. It's more of a two person job. The only question... It rocks where the posts meet the base a little bit. Not bad at all, just a tad bit of play. This may be by design? All in all my workouts have been great. Rated 5 out of 5 by Stacie from This has everything I needed!! I bought this right after Thanksgiving and I am so happy with this squat stand!! No doubt an awesome purchase that was worth the investment. I highly recommend! !